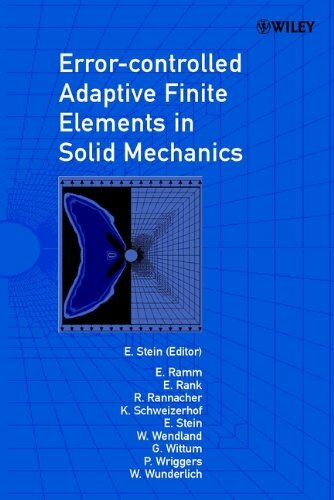 9780471496502 | John Wiley & Sons Inc, January 13, 2003, cover price $282.00 | About this edition: Finite Element Methods are used for numerous engineering applications where numerical solutions of partial differential equations are needed. Traditional FEM and the more recent BEM underlie many engineering computational methods and corresponding software. Both methods have their merits and also their limitations. The combination of both methods will provide an improved numerical tool in the future. The aim of this book is to present significant basic formulations of FEM and BEM and to show their common practical and mathematical foundations, their differences and possibilities for their combination. These include variational foundations, FEM and BEM for linear and non-linear elasticity and potential problems, the combination of FEM-BEM asymptotic error analysis, modifications due to corner and crack singularities and corresponding improvement of convergence, plastic analysis, numerical algorithms and engineering applications. 9783211821039 | Springer Verlag, January 9, 1989, cover price $99.00 | About this edition: Traditional FEM and the more recent BEM underlie many engineering computational methods and corresponding software.